Pacers are experienced runners who run the race at an even pace with a specified goal time. This helps fellow runners stay on-pace to achieve desired finish times. As a local non-profit organization, we truly value those who give back to others in the run community. 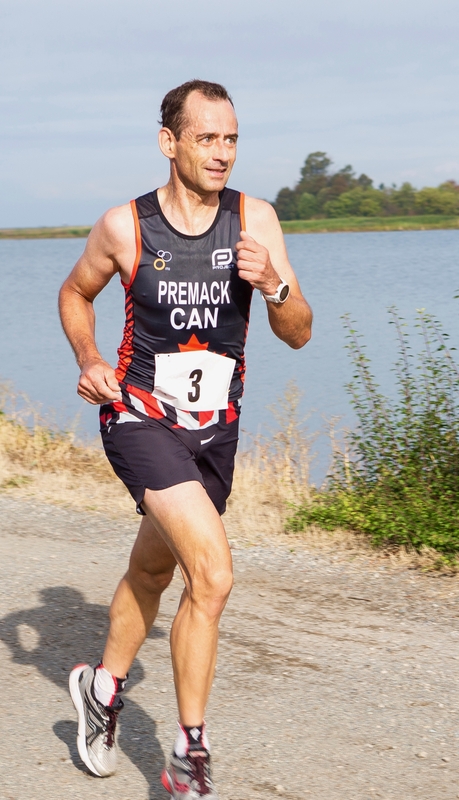 I’m a runner and triathlete that loves to travel the world to train and race with the wife in a speedo and spandex while paying the bills as a tax geek in a suit (often with flip flops). 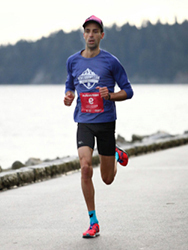 Why do you like RUNVAN®? The events are well organized local races with competitive fields that bring out the best. What is your favourite post run food? Hmmm, if it is a big long run, I’m probably dreaming of thin crust pizza. However, mostly I end up eating oatmeal, Greek yogurt, berries with a side of nut butter and a Starbucks coffee! We all have it. What is the worst, repetitive song in your head while running? Any song by Taylor Swift, maybe not the worst, but embarrassingly they do get me pumped up (the wife will attest to this)! You are going to be leading a lot of people to their goal time at the First Half. 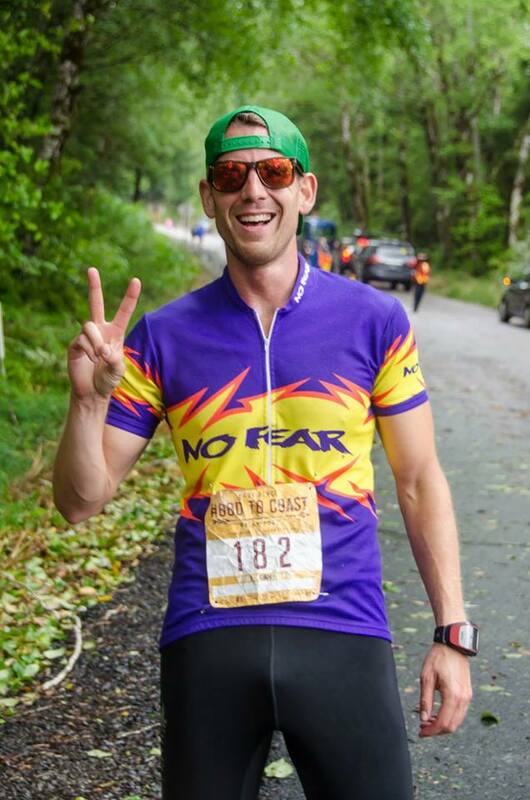 What is your best race advice? Have confidence in your training and preparation, stick to your individual race plan and stay in the moment taking it a mile at a time. I have a brother named Jishan, and my parents still mix us up. 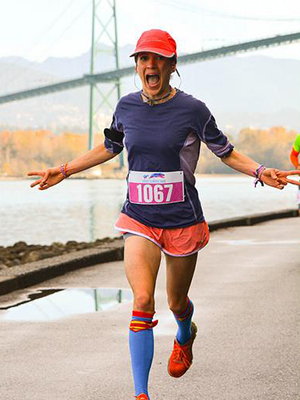 RUNVAN® events are well organized and the race courses showcase the best scenery that Vancouver has to offer. French Fries and Ice Cream. In the same sitting. That “Havanna Ooo-na-na” song. Just the worst. Have fun with it! Smile, thank your volunteers and your support crew, and take in all the race vibes. And always plan a post race meal! It gives you something to look forward to when you’re hammering away the miles on race day! I am training for Ironman Korea in 2019 and hope to qualify for the 2020 Ironman World Championships. I love the atmosphere! The events are well organized and supported, and whether you’re running to win the race or just trying to reach the finish line, everyone is positive and encouraging. Eminem’s – Lose Yourself. It gets me fired up! Everyone toeing the line feels the same pain, so just put one foot in front of the other and you’ll get to the finish (some just a little faster than others). AND Have Fun! 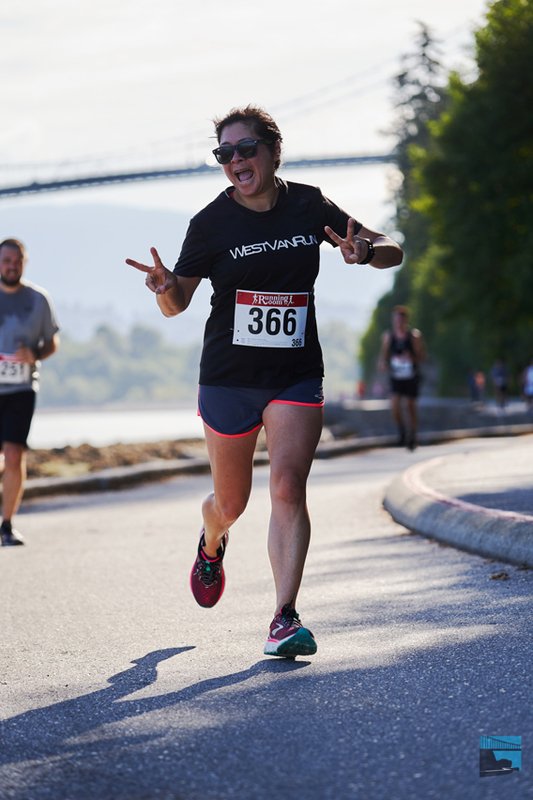 I love the community-building ethos of this organization, the well-organized events and the beautiful courses that are featured in RUNVAN® race. 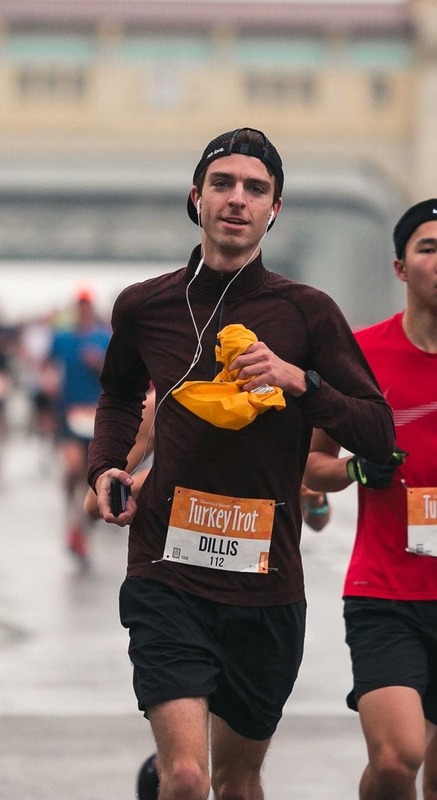 What is your best race advice? Know your pace and stick with it! Often with race adrenaline, people cheering, etc. it’s easy to start at a pace faster than the one you trained with which is not wise as you will pay for it later! 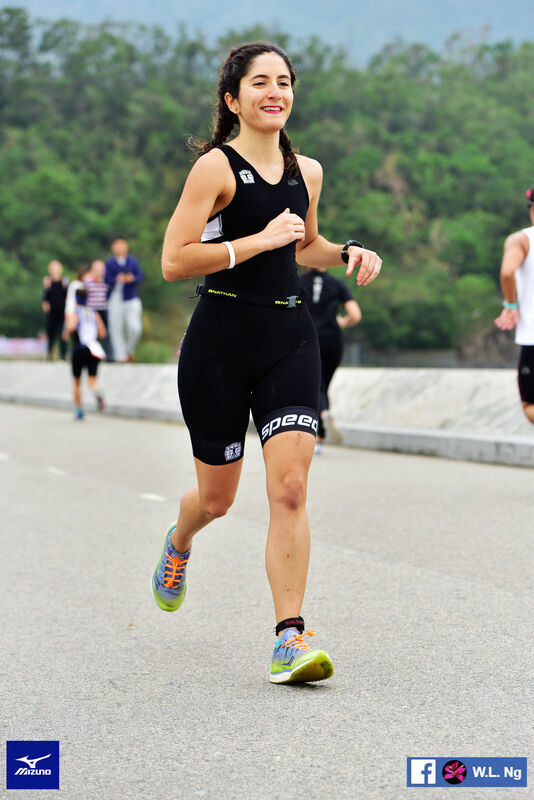 It’s better to have a bit of energy left at the end to do a negative split and even sprint a bit towards the end than to slow down mid race because of a too aggressive start. accomplishments with hundreds if not thousands of other runners. I go nuts for donuts after a long training run! finish line, because oh my it feels good to cross that line. Usually it’s liquid refreshments with our run crew, the North Burnaby Runners! the other facets.. new shoes and clothing, triple-caffeinated gels, latest endurance products. I have a lava rock from Hawaii that I put in my running shoes the night before big races for good luck. The scenery! Vancouver has some of the best waterfront running that I have ever experienced, I’ve run the courses hundreds of times in training and am constantly in awe of the views that you get. Don’t be afraid to draft off of your pacer. Running directly behind someone can save you 2-3 seconds per kilometre (more if there’s a headwind). That can make a big difference over a half marathon! It’s also much easier mentally to stare a someone’s back and have them “pull” you along. Those little things add up and can pay off in a big way during the last few kilometres. 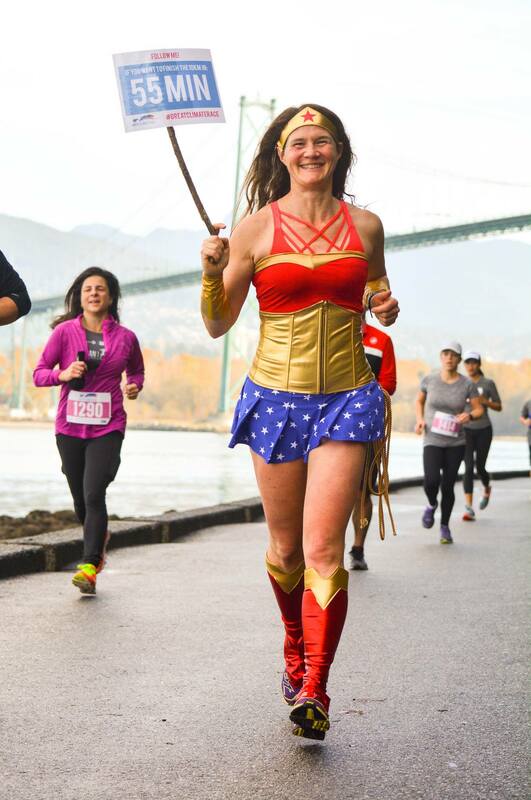 RUNVAN events are always very well organized, and generally have great energy from both participants and supporters. My favourite post-run food is generally something a little healthier like a banana or a smoothie. But post-race I can’t wait to slam a huge bag of salt and vinegar chips and some chocolate milk. John Cougar Mellencamp’s “Hurts So Good”. That played on endless repeat for a huge chunk of the New York Marathon for me! We all know it, but it can still be hard to remember on race day – DO NOT start out too fast!!! If you’re keeping to the proper pace it will always feel much too easy in the beginning – and the excitement of the race start will always make you want to run faster. But staying controlled in the first portion of the race can make all the difference to hitting your goals overall. I started a Strava run club this summer called the Ice Cream and Donut Run Club. We meet at a different ice cream or donut shop, go for a run, and then sample their treats. We have over 100 club members and regularly have 15-25 people run with us. 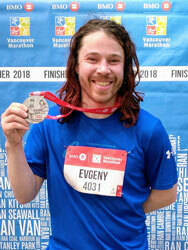 RUNVAN has great sponsors, great courses, great post-race food and the best volunteers! The medals are pretty sweet too! I also love that you can get a free beer or wine with your bib at Mahony & Sons post-race. I love going for brunch post run with all my friends to talk about our race. If there’s hashbrowns or French fries involved, I’m there! Katy Perry’s California Girls. I’ve heard this song at so many of my marathons! Smile when you see the photographers. 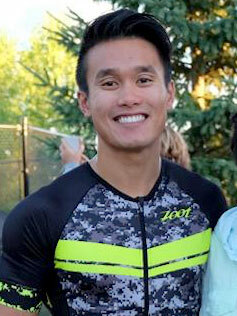 Smiling while you run puts you in a good mood and it’s easier to run with a positive attitude than with a scowl. Besides, the kilometres will seem to fly by when you’re having fun! I lived in three different countries in the past year! 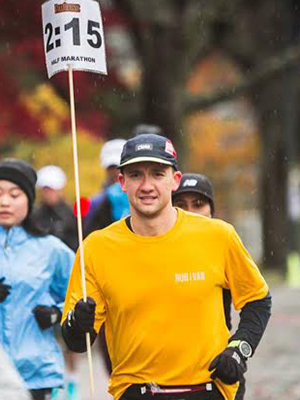 Vancouver runners are super motivated no matter the weather. Pizza… favourite post- everything food. Smile for the cameras and make sure you’re having fun! I love creating furniture and art from plywood and cardboard using laser cutter. The medals RUNVAN® is making for their events are spectacular: they have a nice solid weight, and spectacular designs. T-shirts from the BMO Vancouver Marathon are also great, as proven by me they can withstand dozens of washes, and tend to impress fellow runners. More energy gels and electrolyte drinks!.. Not. I love bananas the most. “Eye Of The Tiger”, of course! You pass by the invited band, they happen to play it – boom! You’re stuck with the motive for the rest of the run. Say you are running a half marathon event, and you are lucky have a pacer for your desired time, 2:30 for example. Remember that at the beginning of the race it is actually very easy to run much faster than the pacer, but that would cause you to spend much more energy. This would make the end of the race much tougher, to the point of being passed by the desired pacer in the last kilometres. A better strategy is actually to stick with the pacer for the beginning and then speed up closer to the end.